It is often asserted by Christian trinitarians when the words ‘Son of God’ is used for Jesus in the New Testament, then that proves he is God himself. Trinitarians hold to the belief that the declaration that Jesus is the ‘Son of God’, means he is God the Son, a member of the Trinity. However, Jesus (p) never claimed to be a member of the Trinity. The Trinity concept was build up centuries later by the Church Fathers. I will now show passages from Mark’s Gospel where the words ‘Son of God’ is used, as Mark is the earliest Gospel to be written according to Scholars. (2) Exodus 4:22 Then say to Pharaoh, ‘This is what the LORD says: Israel is my firstborn son. (3) Deuteronomy 14:1 “You are the sons of the LORD your God. You shall not cut yourselves or make any baldness on your foreheads for the dead. (4) Deuteronomy 32:8 When the Most High gave to the nations their inheritance, when he divided mankind, he fixed the borders of the peoples according to the number of the sons of God. (5) Deuteronomy 32:19 The LORD saw this and rejected them because he was angered by his sons and daughters. (6) 2 Samuel 7:14 I will be his Father, and he shall be My son. If he commits iniquity, I will chasten him with the rod of men and with the blows of the sons of men. (7) 1 Chronicles 17:13 I will be his father, and he will be my son. I will never take my love away from him, as I took it away from your predecessor. (9) 1 Chronicles 28:6 He said to me: ‘Solomon your son is the one who will build my house and my courts, for I have chosen him to be my son, and I will be his father. (10) Psalms 29:1 A Psalm of David. Ascribe to the LORD, O sons of the mighty, Ascribe to the LORD glory and strength. (13) Psalms 89:26-27 He will say to me, ‘You are my Father and my God, as well as the mighty rock where I am safe.’ “I have chosen David as my first-born son, and he will be the ruler of all kings on earth. (14) Isaiah 43:6 I will say to the north, ‘Give them up!’ and to the south, ‘Do not hold them back.’ Bring my sons from afar and my daughters from the ends of the earth. (15) Jeremiah 31:9 They will come with weeping; they will pray as I bring them back. I will lead them beside streams of water on a level path where they will not stumble, because I am Israel’s father, and Ephraim is my firstborn son. (16) Daniel 3:25 He answered and said, Lo, I see four men loose, walking in the midst of the fire, and they have no hurt; and the form of the fourth is like the Son of God. (18) Hosea 11:1 “When Israel was a child, I loved him, and out of Egypt I called my son. Reading the above passages shows that Israel as a whole is God’s sons and daughters. Angels are also God’s sons. It’s quite clear reading all the above verses that being the ‘Son of God’ did not and was never understood to denote that the person is sharing God’s nature. If Trinitarians still insist that the term ‘Son of God’ means ‘divinity’. Then they have to be consistent and apply the same for all the other passages when ‘son of God’ is used in the Old Testament. If we go by Trinitarian logic, then all the people in the Old Testament are equally God just as is Jesus is (as claimed by Christian Trinitarians) in the New Testament. When the term ‘son of God’ is used in a Jewish sense, it means someone who is a righteous person. It is used for the nation of Israel or a person who has a close relationship with God Almighty. Let’s now present some Scholarly evidences on the term ‘Son of God’. A person or people having close relationship with God; in the NT a designation of Jesus. The Lord promised through Nathan that David’s ancestor would be ‘a son to me’ (2Sam. 7:14; 1 Chr. 17:13; 22:10; 28:6), and other texts call the King the Lord’s son (Ps. 2:7; cf. Isa. 9:6-7 [MT 5-6]) and firstborn (Ps. 89:27-29 [28-30]). Several passages call the Lord the ‘father’ of Israel (Deut. 32:6; Isa. 64:8 ; Jer. 31:9), and others refer to Israel or Ephraim as the Lord’s ‘son’ (Exod. 4:22-23; Jer. 319; Hos. 11:1). The people can be called the Lord’s sons and daughters (Deut. 32:19; Isa. 43:6; Hos. 1:10 [2:1]. “A brief look at the title Son of God is illuminating. Although we have no evidence that Jesus actually referred to himself as the Son of God, the phrase appears in the creeds and is central to Christian belief. In the first century, people were not infrequently referred to as sons of God in order to indicate their status as somehow specially pleasing to or favoured by God. For example, mythological Greek heroes, like Hercules, were called sons of God. During Jesus lifetime, Caesar Augustus was commonly referred to as such, as were the rulers of Egypt. Within traditional Judaism the title was used in various ways, as we see in the Hebrew Scriptures. Angels are sons of God, according to numerous texts- Gen. 6:2-4 or Deut. 32:8, for example. The king and other Israelites, even Israel itself, all received this title (2 Sa,. 7:14; Exod. 4:22). Intertestamental Judaism developed the theme further, and it is found in the writings of the Dead Sea Scrolls as well. Altogether then, it can be said that at the time of Jesus and during the early years of Christian formation, the term Son of God was widely known and used. To say that someone was the Son of God in antiquity seems to have meant something like ‘belonging to God.’ Given its somewhat common usage, it is not surprising that the term came to be associated with Jesus. We have no evidence to support the claim that, when first used to speak of Jesus, Son of God meant anything other than its then accepted meaning. The title originally implied nothing like that Christian idea of Sonship as encompassing incarnational and Trinitarian themes. It was a metaphor used to indicate the special character of Jesus relationship to God. Although Jesus most likely did not consider himself to be the Son of God, it is feasible that he would have understood Israel and her people to be sons of God. As Conservative New Testament Scholar N. T. Wright says ‘I do not think Jesus [sat back and said] to himself, ‘well, I never! I’m the second person of the Trinity! From the academic quotes, we see that ‘Son of God’ does not mean that the person referred to shares God’s nature. 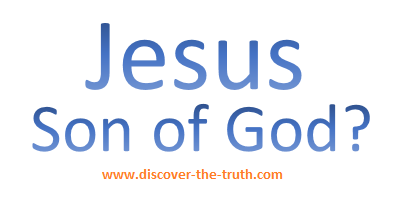 The evidences shown from the scholars is clear that, when someone was referred to as the ‘son of God’ – when it was used in the first century when Jesus (p) was alive, it only meant that the person was a righteous man or the person had a special relationship with God. The term was always used in a metaphorical sense. It was never used in a literal way. Paying close to the some of the scholarly statements, they also highlighted that the expression ‘son of God’ has ‘underwent considerable development’, they mean that the meaning for the term changed centuries down the line by Christians. I hope Trinitarians from now on stop using the term ‘son of God’ as a claim for the divinity for Jesus. It is evident when the expression was used in the first Century when Jesus was alive, it only meant that he was a righteous man, a holy man and nothing more. « Apostasy Laws In Islam – Do We Really Understand Them? You also forgot to say Jesus is also called the “son of man” and about him is written that he has flesh, blood and bones, whilst God is a Spirit, Who has no such things. Let us also not forget that Jesus, after he died (God can not die) was three days in hell before his heavenly Father took him out of the dead, to make him higher than angels (Jesus was lower than angels before) though God is, was and always shall be the Most High. Naturally, we know there are Muslims who do not think Jesus really died and that he than also was not taken out of death. But in that resurrection, lies our hope every believer can have. Thank you for a though provoking article. Though it is true that the term “son(s) of God” is used throughout Scripture to refer to Israel, believers and angels, that doesn’t mean the Bible doesn’t refer to Jesus as divine. Why did the Sanhedrin condemn Jesus? Because when asked if he was the Son of God, he said, “Yes.” They understood that such was a claim of divinity and that was blasphemy to them. The Bible ascribes to Jesus attributes of God (e.g. Hebrews 13:8). And it actually calls him God (John 1:1 — and you’ll notice here a reference to the Trinity relationship “The Word was God and the Word was with God.”). How can the Bible not teach the Trinity? Look at Jesus’ Baptism, Matthew 28:19,20. If a person doesn’t want to believe the Bible or that Jesus is God, that is their choice, but the Bible (and not just the Creeds) teach his divine nature. I actually wrote an article about this recently on my blog. Admittedly, it is more devotional in nature, but if you have a chance, check it out and let me know what you think. Thanks! What was Peter’s answer? Keep in mind these men had already believed that Jesus was Savior, Lord, and the Christ.